Last September, I visited Seattle, Washington for vacation. One of my favourite ways of exploring the city is by checking out its food scene. 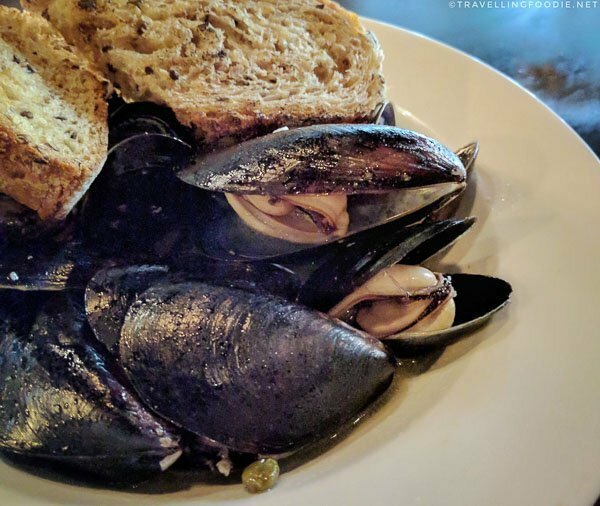 When people think of food in Seattle, the first thing that comes to mind is seafood, lots and lots of it. Surrounded by water, Seattle is a working port and has so many fishermen. Seafood is definitely a must when visiting here. But there are still a lot of restaurants to try that aren’t seafood. 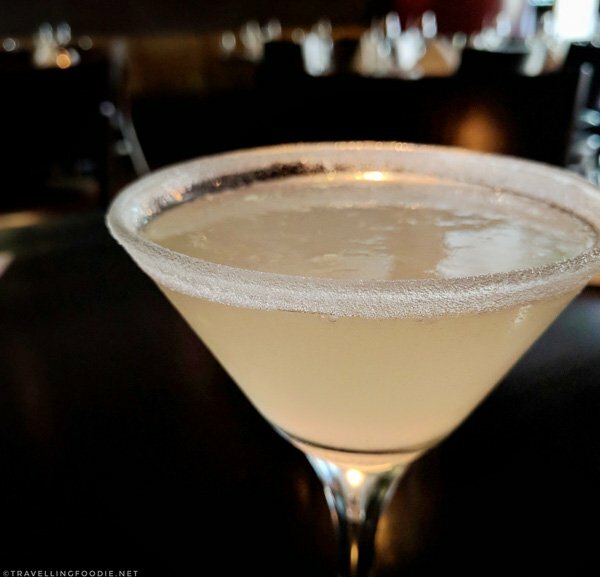 Two things that I found interesting to note about Seattle’s food scene: The first is that most restaurants have Daily Happy Hour (usually half price menu items) to bring customers in during non-peak hours. This is a great way to save and stay on budget especially when travelling. This brings us to the second thing: 20% gratuity. A lot of the restaurants have a fixed 20% gratuity regardless of how big your party size is. As you can see, this can certainly cause a big dent when eating out, making the Daily Happy Hours highly attractive. 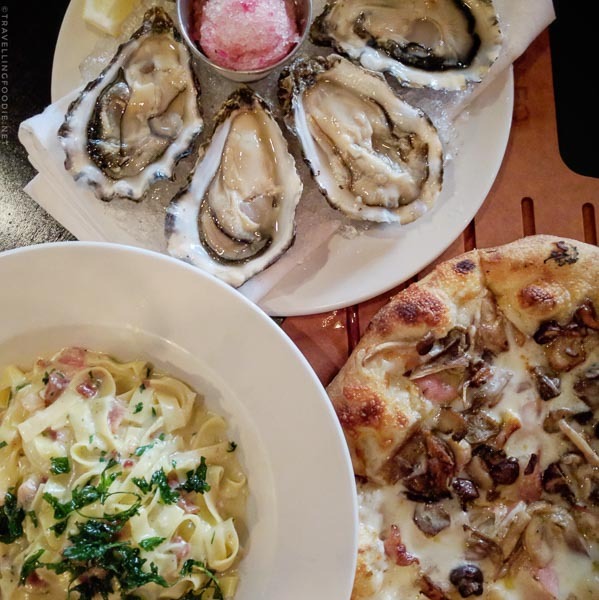 From this trip, I’ve compiled a list of 17 Restaurants To Try including some of the popular, new or best restaurants in Seattle and the Seattle metropolitan area! 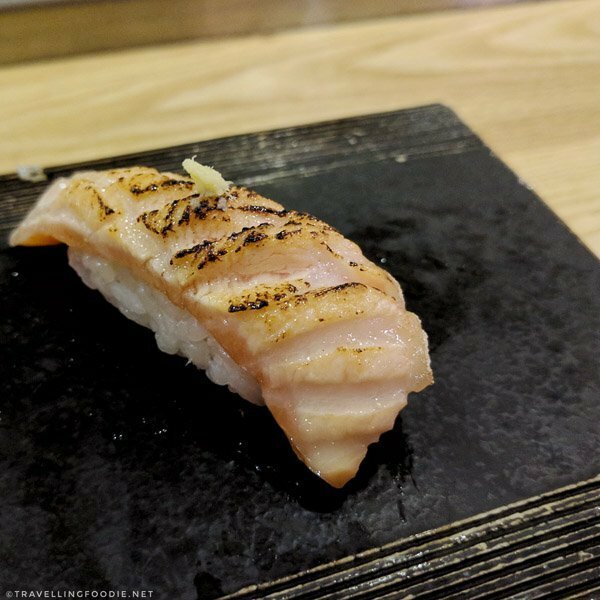 The first “Edomae” style sushi restaurant in Seattle, Shiro’s Sushi brings the traditional sushi experience to the table. Sit at the sushi bar and get served freshly crafted pieces of sushi one at a time using local, seasonally available seafood and produce. 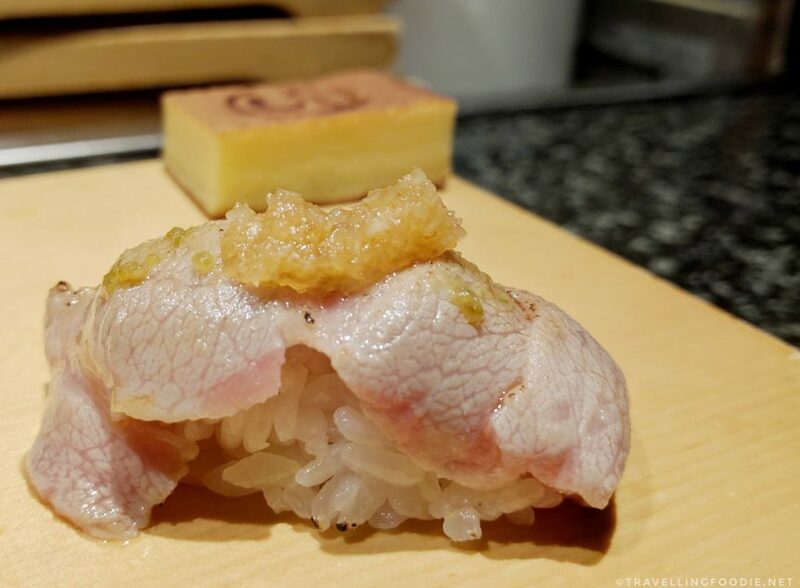 Though they offer a “Premium Sushi Omakase”, a chef’s selection of 18 pcs sushi and seasonal soup served over five courses, opt for the real Omakase experience where the chef keeps handing you pieces of the best sushi until you want to stop (though warn the chef 2-3 pcs beforehand). 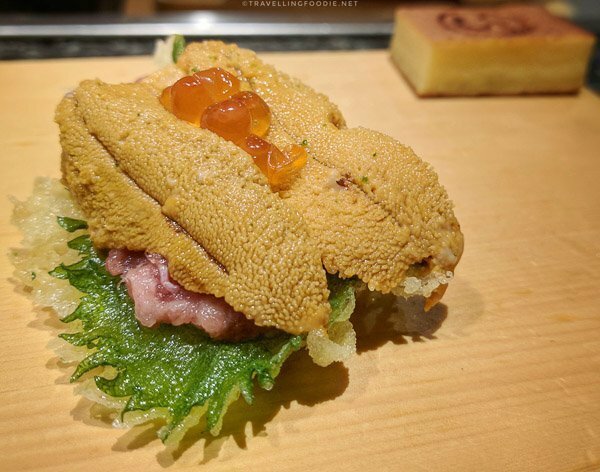 Travelling Foodie Tip: You can tell the chef your preferences so he can tailor the omakase based on that. 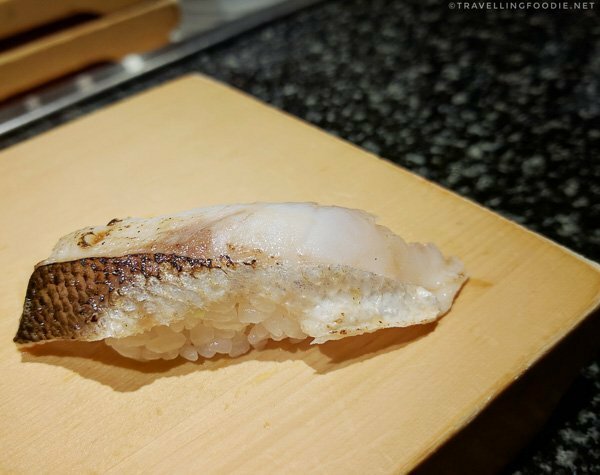 I was surprised with the variety of fishes they had, some of which I haven’t had before, or at least as raw: barracuda, seki aji (premium horse mackerel), flounder, isaki (threeline grunt fish). Did you know? Shiro’s Sushi was opened by Master sushi chef, Shiro Kashiba, who has left and opened Sushi Kashiba (also in this list). Despite that fact, I loved my experience here: The ambiance is much more reminiscent of traditional Japanese restaurants. There is good lighting for photos. The sushi bar is not that cramped. They make sure the tea is always fresh by replacing it (not just refilling) after a certain time. The sushi were very good and fresh. I particularly enjoyed how Chef Aaron Pate craftily garnished the pieces as well. 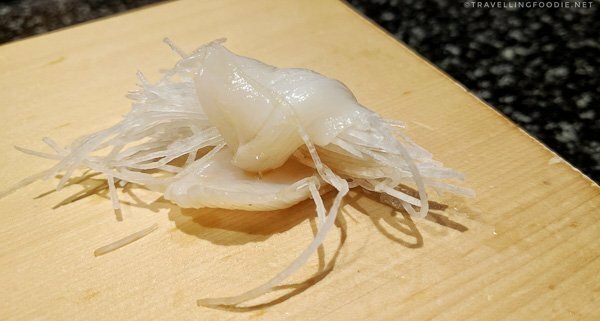 I never understood what makes Geoduck Sushi good until I ate the one here. Travelling Foodie Tip: Make sure you check out their Daily Special where you’ll find off-menu appetizers and drinks. 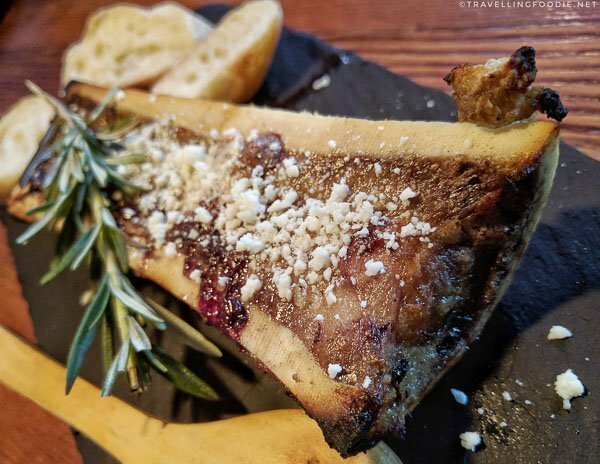 Bringing the Basque country to Seattle, Harvest Vine took me back to Spain with a small open-air tapas bar with an open kitchen with its display of meats and cheeses, glass jars of olive oil, and containers of ingredients. Their menu is broken down into cheeses, cold dishes, and hot dishes which are sub-categorized into vegetables and eggs, fish and seafood and meat. They also have an extensive wine menu showcasing wines from different parts of Spain. 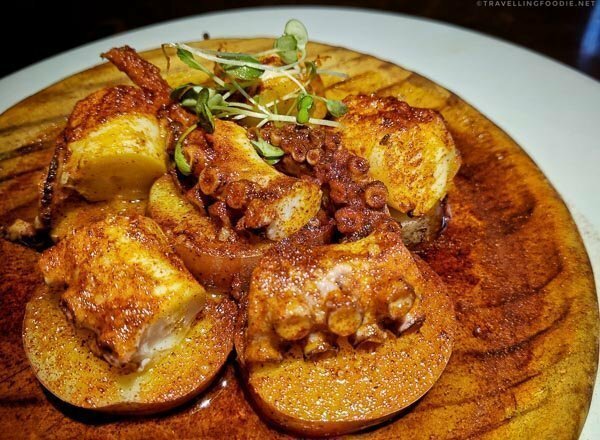 Travelling Foodie Tip: They have Daily Specials that are off-menu and interesting like the Calamares en su Tinta. Being a tapas style restaurant, I recommend you order a bunch of plates to share instead of individually. 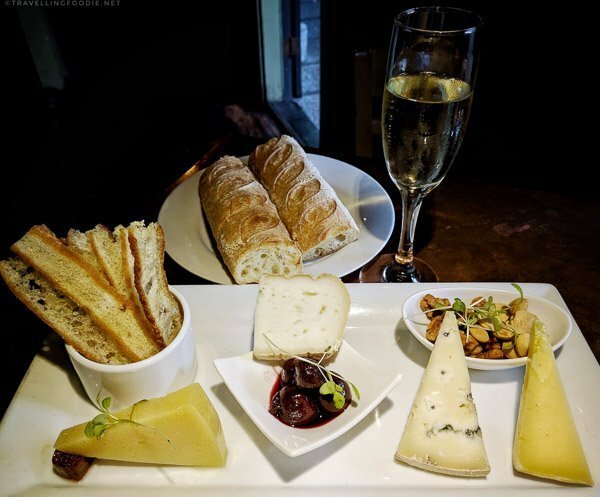 One thing that’s really great to share to start is their Quesos platter. 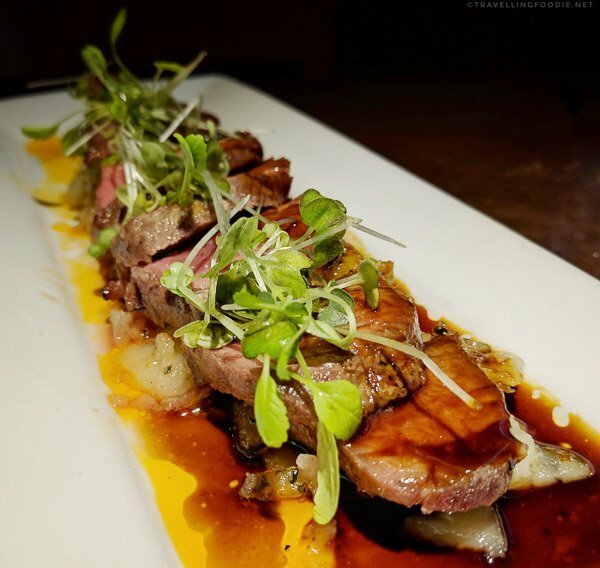 If there’s one thing you should order here, it’s the Iberica. It was seriously life changing as it was like eating a most flavourful filet mignon but it’s actually pork! My love for this will not ta-pas! I love the use traditional Basque country ingredients to make the dishes more unique. The piperade & piment d’espelette alioli helped add a nice spicy kick to the tender juicy lamb chops. 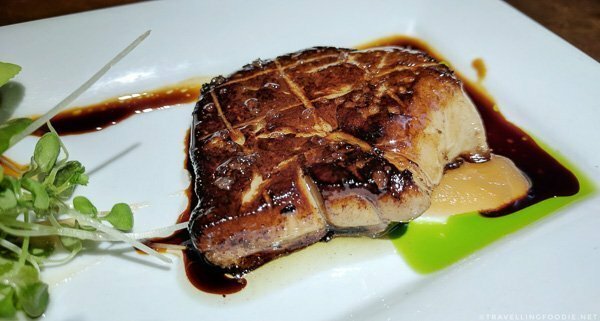 The sweet and citrus notes of the arrope & apple puree helped cut the richness of the foie gras. Also make sure you try their Spanish desserts. Did you know? Pilgrims eat the traditional Spanish cake, Tarta de Santiago, during the Camino de Santiago de Compostela. Taylor Shellfish is known for generations of shellfish farming in the waters of Puget Sound. 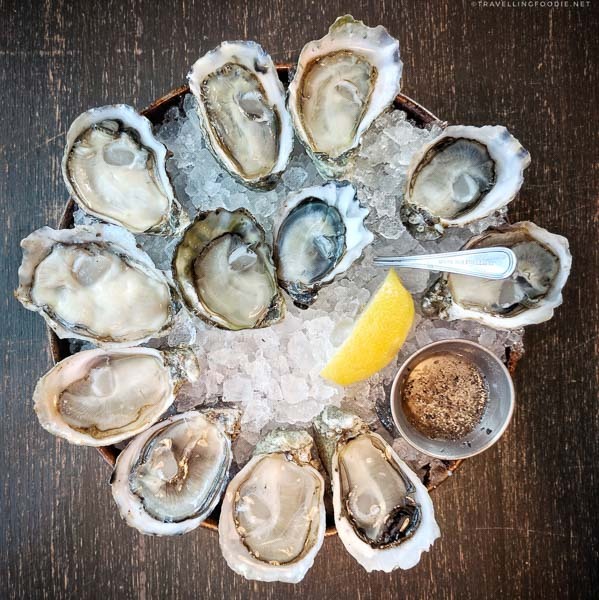 What’s even better is you can enjoy their offerings thru various Taylor Shellfish Oyster Bars in Seattle, a tide-to-table experience! 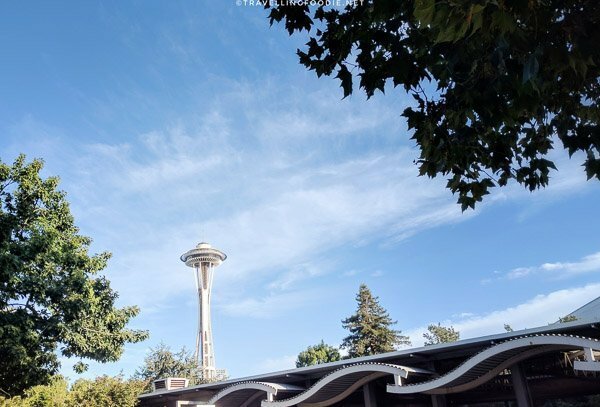 Travelling Foodie Tip: Their Queen Anne location has a nice view of the Space Needle! During the Fanny Bay Oyster Plant Tour in the BC Shellfish and Seafood Festival, I learned that Fanny Bay Oysters was part of the Taylor Shellfish family of farms. Therefore, I was so excited to try this place! They definitely delivered as I had some of the best and freshest seafood I’ve had here. Did you know? Taylor Shellfish operates in sustainable shellfish farming so you’ll feel even better knowing you’re eating somewhere that helps protect the marine environment. If there’s one thing you have to get, it’s definitely the Dungeness Crab! This was the best I’ve had, and it still gives me cravings. This says a lot because I’ve always preferred other kinds of crabs than dungeness. They get their crabs from Anacortes fresh daily. It’s boiled with hard apple cider, brown sugar, warm spice, and citrus. The crab was so sweet, and easily falls off the shell. And what makes this even better is the sauce that came with it using the back fat of the crab and Mexican crema. SO GOOD! 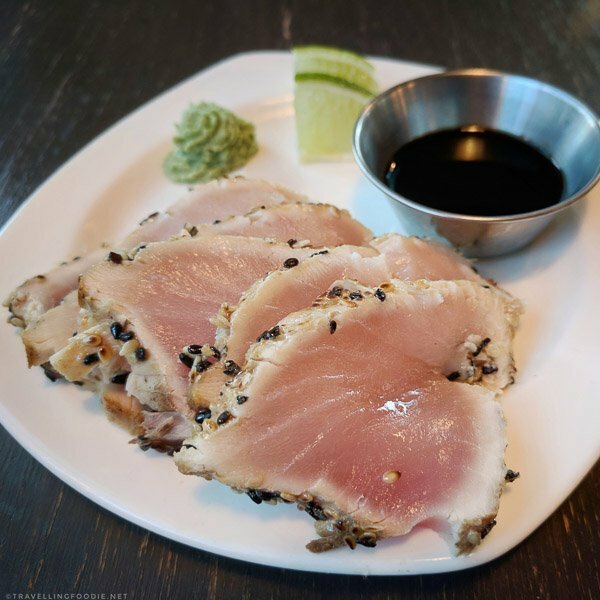 Albacore tuna generally doesn’t excite me, but the Tuna Tataki here was the best albacore tuna I’ve had. 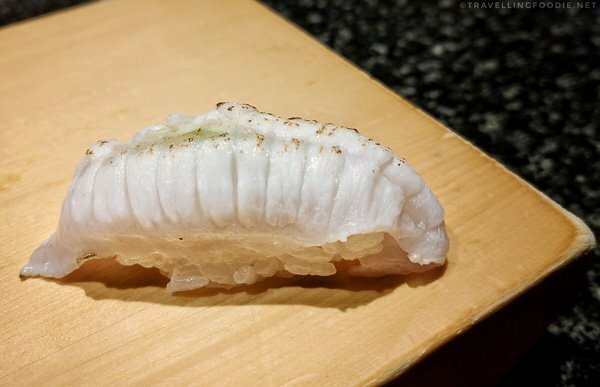 It is so buttery and fresh that it reminded me of Bluefin Tuna. If you love oysters, I recommend the Shucker’s Dozen which gives you a taste of various oysters available that day. It’s a great way to really compare and contrast oysters in one seating. Not a lot of options for dessert, but I was already happy with the Olympic Mountain Artisan Ice Cream. 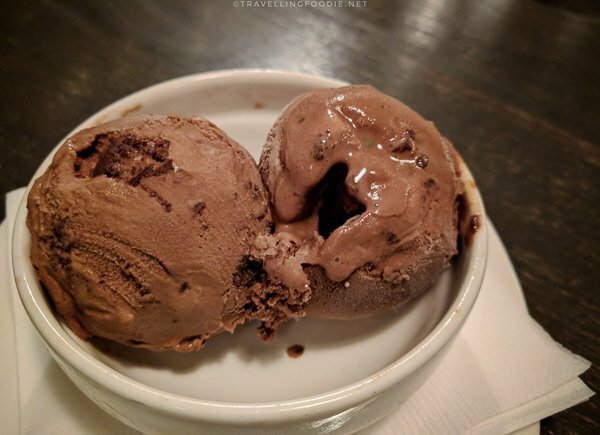 The chocolate fudge brownie was so creamy and rich without being overly sweet. 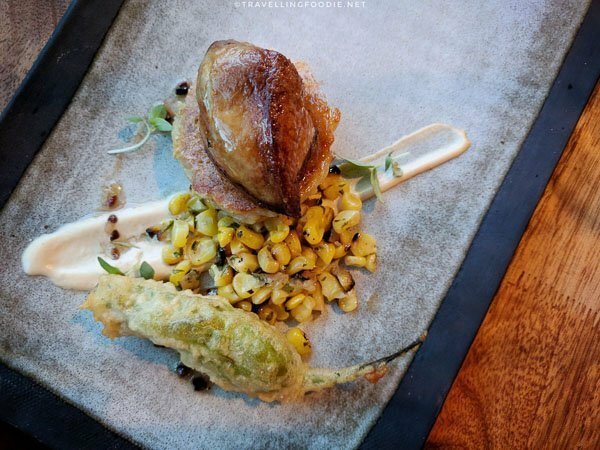 Art of the Table brings farm-to-table cuisine with a regularly changing menu to showcase local and seasonal ingredients, and items made from scratch. This is quite a fine dining restaurant so expect to spend. 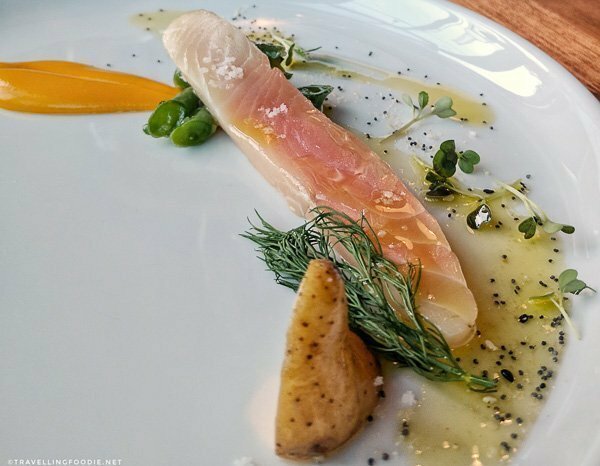 You’ll want to do the Tasting Menu ($125) in this case to have the complete culinary experience from Chef Dustin Ronspies, a 2014 James Beard Chef Award Semifinalist and co-owner of the restaurant. Travelling Foodie Tip: When doing the Tasting Menu, make sure you do reservations for the 5-seat Chef’s Table which is a bar seating around the open kitchen so you can see how everything’s done. The Tasting Menu is a 9-course meal consisting of amuse bouche, 5 main courses, intermezo and 2 dessert courses. The main and dessert courses are not available in the ala carte menu. 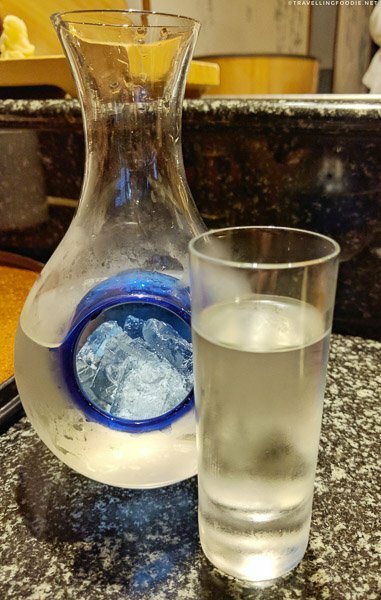 Sushi Kashiba is the sushi restaurant opened by Chef Kashiba after Shiro’s Sushi. 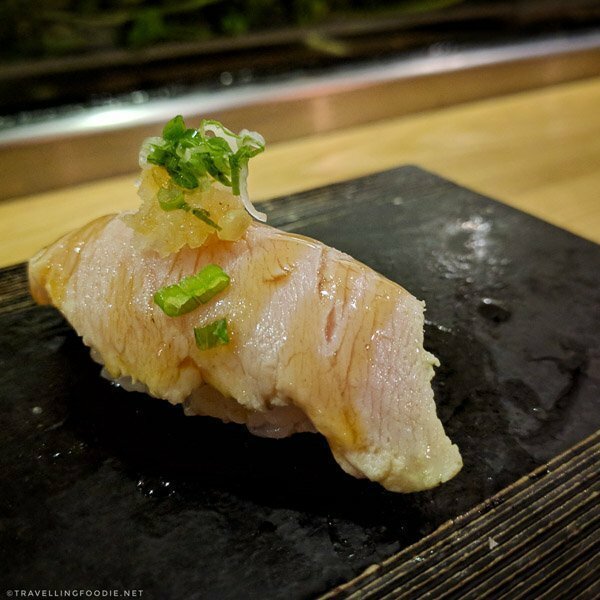 Called the “Sushi Sensei” of Seattle by the Seattle Times, Chef Shiro Kashiba was trained by world renowned sushi master, Jiro Ono (Jiro Dreams of Sushi). Did you know? Chef Shiro was nominated twice for the James Beard Award. I definitely recommend the sushi bar here because you’ll want to see Chef Shiro in action. 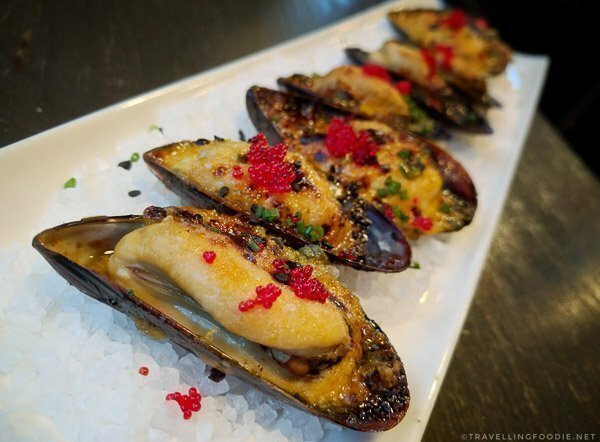 Travelling Foodie Tip: There are no call-in reservations for the sushi bar. Be sure you arrive early to reserve your spot! Arriving when they open at 5pm pretty much means you can only reserve for the 6:30pm seating at the very least. Also ask that you be seated where Chef Shiro serves, which unfortunately wasn’t the case for us. It’s interesting to note that sushi selection here differs from Shiro’s. I had items here that weren’t available in Shiro’s (and vice-versa) like the king salmon belly, king crab, and king mackerel. They even made an unagi tempura sushi which was definitely a first for me. Another unique dish, which I highly recommend if they have it, is the Matsutake Mushroom Dobin Mushi. Dobin Mushi is soup (mushi) steamed in a small personal teapot (dobin). The Matsutake Mushroom is a very seasonal mushroom that is highly prized by the Japanese, usually harvested between September to October in Japan. Because of its strong smell, the matsutake mushroom brings so much fragrance and flavour to the dobin mushi. 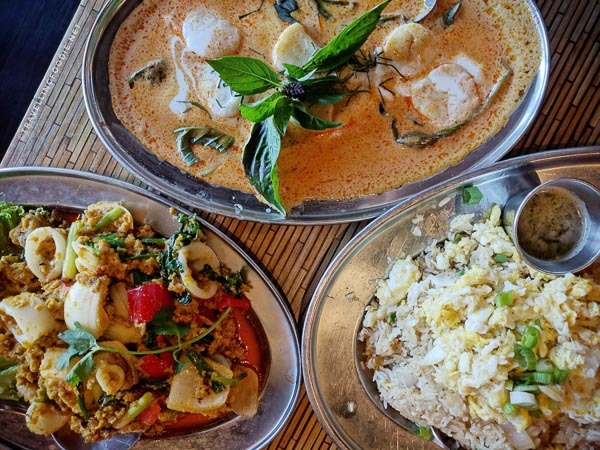 Specializing in Northern Thai food, Isarn Thai Soul Kitchen is one of the best Thai restaurants I’ve had in North America. All three dishes I tried were just great! The smooth creamy Chu Chi Red Curry with a hint of spiciness that’s perfect with steamed rice, or even the fried rice that we got. I can literally drink a bowl of that curry as a soup! The Stir-Fried Squid with Salted Egg Yolk was quite interesting and also rare to find. The salted egg yolk is mashed to release juices into the milk, and coating the squid to add another dimension to the squid’s taste. The Fried Rice with Crab Meat was full of blue crab meat. The spicy lime dressing was actually so good with it too. Travelling Foodie Tip: Try to use the Chu Chi Red Curry on the rice instead and thank me after! – Stir-Fried Squid with Salted Egg Yolk, or pla-muk-pad-kai-kem($14.95) – sliced squid sauteed with salted egg yolk, bell peppers, spring onions, Chinese celery and milk. – Chu Chi Red Curry with Scallops ($15.95) – A Thai homestyle curry similar to classic red curry but creamier and richer flavorful herbs. 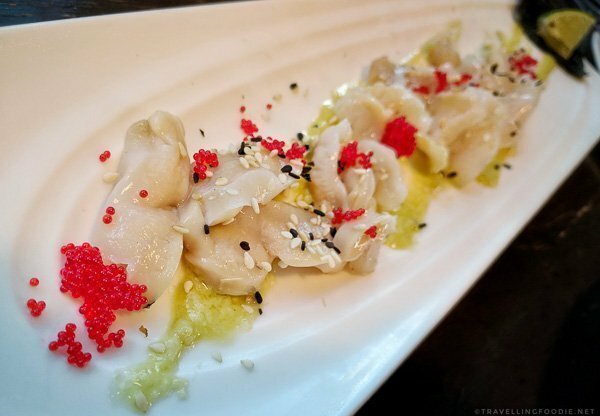 Garnished with sliced kaffir lime leaves. – Fried Rice with Crab Meat, or kao-pad-poo ($15.95) – Fried rice with blue crab meat, onions, spring onions and egg. 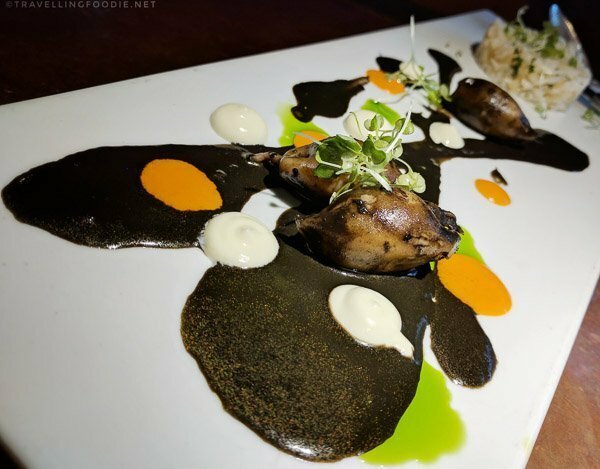 Served with a side of spicy lime dressing. 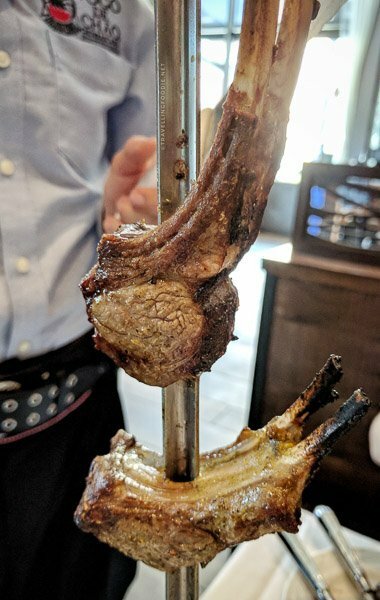 Located in Lincoln Square, Fogo De Chao is a Brazilian churrascaria known for serving quality meats roasted over an open fire, the traditional gaucho method. Did you know? Fogo De Chao means “fire of ground”. 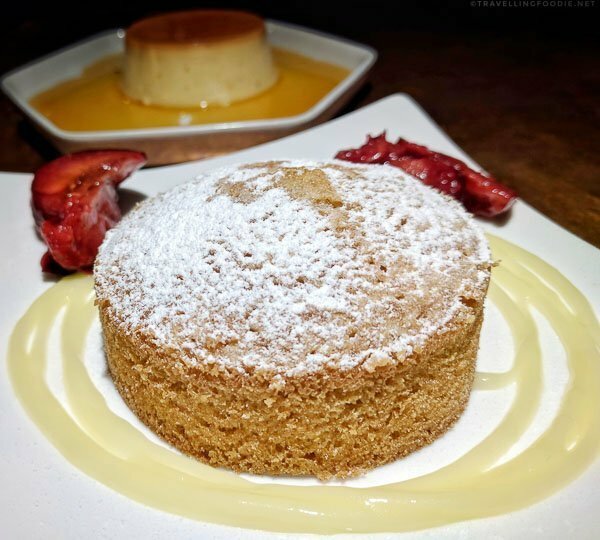 Though they offer ala carte, you really should be doing the Fogo Churrasco Experience ($34.95) which includes unlimited access to the Market Table & Feijoada Bar, and all-you-can-eat tableside service of signature meat and Brazilian side dishes. Travelling Foodie Tip: Be sure to check out the Market Table for some imported cheese and charcuterie meats. 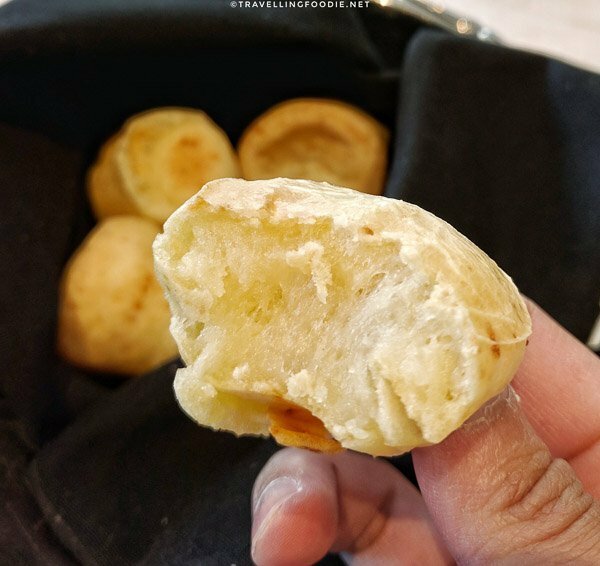 The Brazilian side dish that you must try is definitely the cheese bread, which are highly addicting! Despite being a filler, trust me that you won’t regret having them. Did you know? One thing that makes the bread taste different is the use of tapioca flour instead of wheat flour. 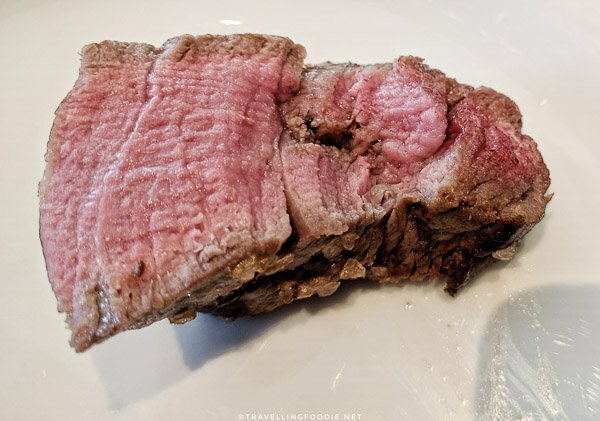 One meat you should definitely try there is the Picanha, the most prized cut of meat in Brazil. The beef is sirloin cap, but what makes it different is that the fat is not removed unlike in non-Brazilian steakhouses. 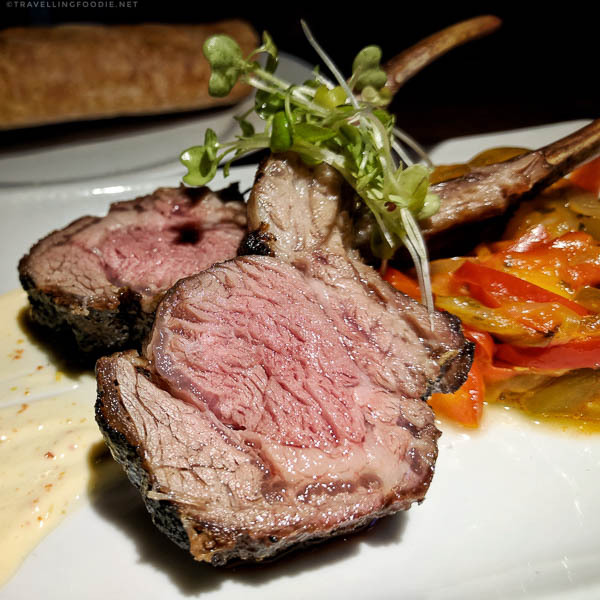 Orfeo offers contemporary cuisine specializing in French and Italian food cooked in a custom Woodstone Josper charcoal burning over and traditional wood burning oven. The restaurant has a large seating of at least 150 people in a casual yet intimate setting, a great dating spot. Travelling Foodie Tip: They have Happy Hour Daily from 4-6PM offering reduced prices in appetizers, pizza, pasta, and drinks. I went during the Happy Hour and fell in love with the food. If there’s one thing you should order, it’s their wood fired pizzas. The pizza dough is just amazing! I really loved the Ai Funghi Pizza with truffle oil and generous wild mushrooms. You should also try their Fettuccine A’la Carbonara, one of the better carbonaras I’ve had in a long time. Their pastas are homemade, and the fettucine on this one was nicely al dente. The carbonara was rich and not overly sauce, and the addition of egg yolk gave a nice thicker consistency and flavour with the bacon. Asadero Mexican Prime & Wagyu Steakhouse brings the Mexican bbq grill (“asado”) experience from northern Mexico to Seattle. Did you know? 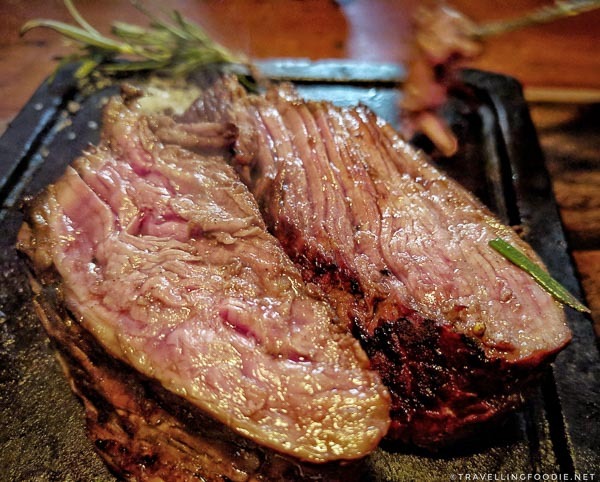 Asadero is the first and only Mexican steakhouse serving prime or better steaks grilled over wood. This is my first time trying a Mexican steakhouse, and it is quite a unique and delicious experience. The meats are really high quality specializing in certified USDA prime beef or wagyu Mishima Reserve grade beef. If there’s one thing you have to try, it’s the Vacio Wagyu with its tender and juicy meat that’s well marbled. The meat is served less than your doneness level since it comes in a sizzling hot plate where the meat cooks further. I also recommend their roasted bone marrow. It is a quite a long bone with a good amount of marrow. I find the price really good too since bone marrow prices in Toronto average at $10. Chef Ethan Stowell’s new restaurant Derby is located inside The Shop, an art facility and country club for car and motorcycle enthusiasts. You’ll be in heaven if you’re into cars or motorcycles as you’ll be surrounded with a lot of vintage and luxury cars. The restaurant is quite spacious with a bar that seats 15, dining room for 58, and a lounge area that seats 20. Travelling Foodie Tip: If you want to get a good view of the cars, sit in the dining room since it is adjacent to the car storage space. Menu focuses on classic comfort food, with a couple of seafood dishes and entrees. If there’s one thing you should get here, it’s the Fried Oysters. 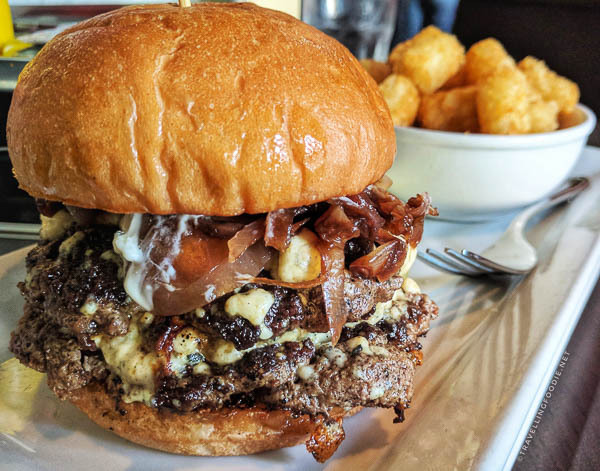 As the name implies, Lunchbox Laboratory brings twists to classic comfort food you’d find in your lunchbox. The restaurant is quite interesting since it initially looks like a place for children with its name and logo, a lunchbox collection and bright comic colors. However, it is also a place for adults with a full bar and classic video games from the 80s. They are known for their burgers because of the American-style Kobe Super-Beef, and local and organic buns. Their Burger Experiments have interesting names and the one that is sure to pop-up and I’d recommend is the Burger of the Gods. It is just oozing with flavour! They are also popular for their hand-spun Snoqualmie Ice Cream All Natural Shakes! 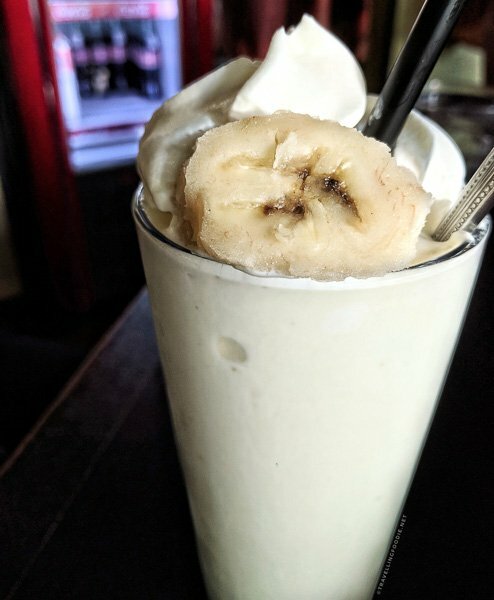 And being a laboratory, adults can spike the shake for $4 with Kahlua, Irish Cream, Malibu Coconut, Whipped Cream Vodka and more! If you are heading towards Pike Place Market, you’ll see quite a lineup as you pass Post Alley. This would be for Pike Place Chowder. Did you know? The Pike Place Market location is the first Pike Place Chowder location. 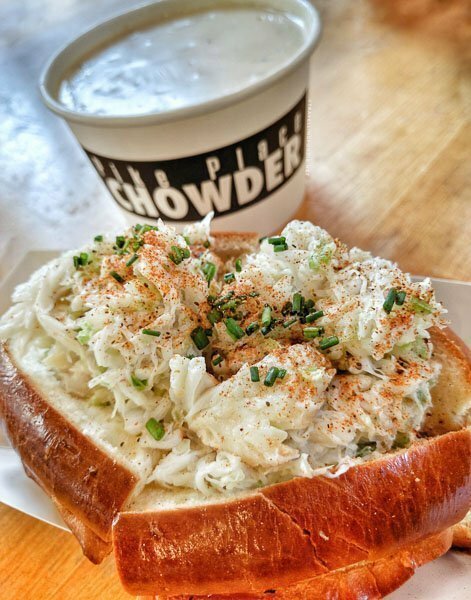 With Chowder in the name, it’s clear what you have to get here, one of their chowders. I recommend the New England Chowder. The clams are flavoured with bacon – WHAT? That’s even better than just regular clams! The chowder has the perfect creamy consistency, and is just breaming with flavour. Did you know? The New England Chowder is inducted into the Great Chowder Cook-Off Hall Of Fame after winning Nation’s Best Chowder three years in a row. Since Seattle is also popular for Dungeness Crab, get the Dungeness Crab Roll which is really packed with crab meat. Note that this is a cold roll though – I would’ve preferred it hot. – New England Clam Chowder ($17.75/32oz) – clams flavored with bacon, bacon, potato, cream, and a secret blend of herbs and spices. 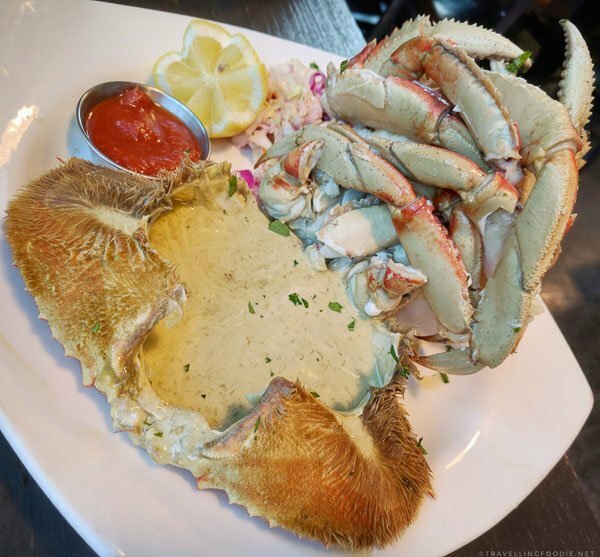 Located in historic South Lake Union, Chandler’s Crabhouse is known for its Dungeness crab, serving eight varieties of crab seasonally with 20 different crab dishes. 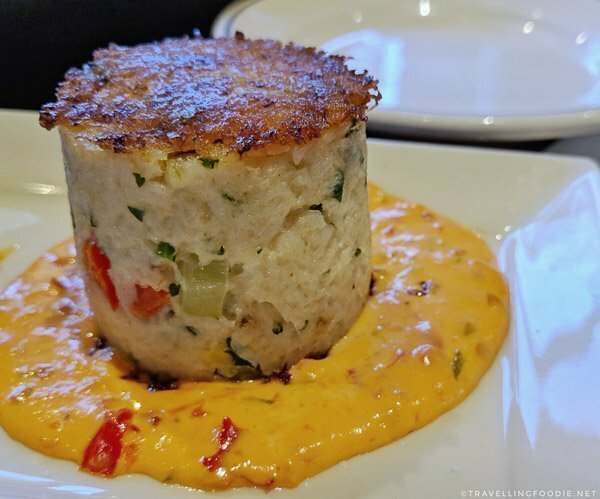 If there’s one thing you have to try, it’s definitely their self-proclaimed “World’s Best” Dungeness Crab Cake. This crab cake is really packed with crab meat with very little fillers! 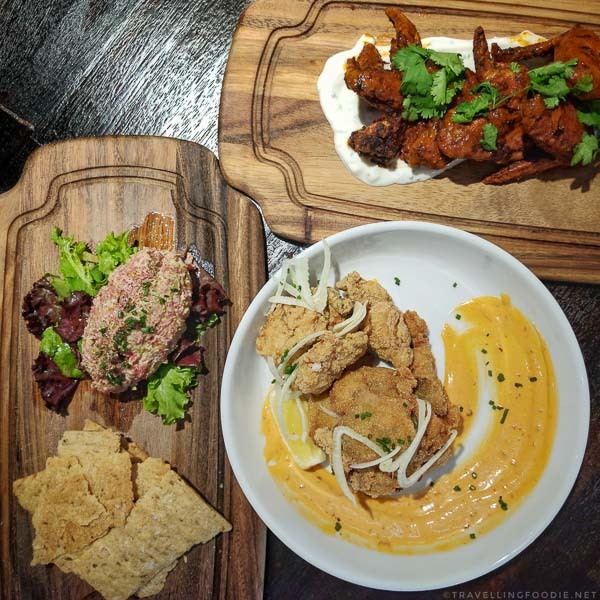 You should check them out during their Daily Happy Hour from 3-6PM where all small plates are half priced. 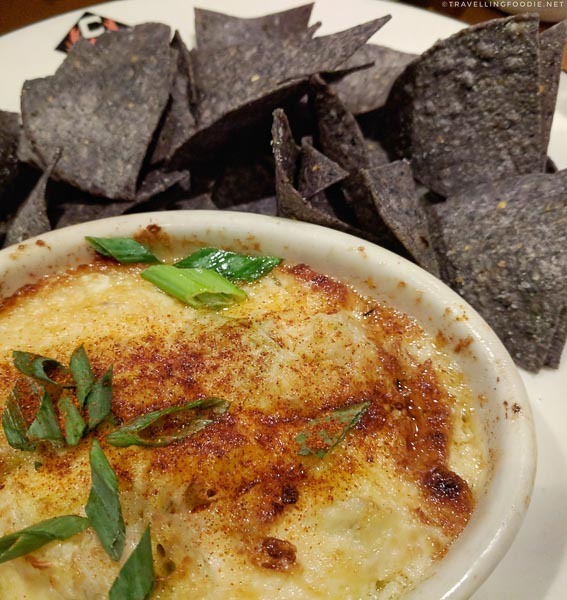 Travelling Foodie Tip: If you go during Happy Hour, opt for the Crab & Artichoke Dip instead of Dungeness Crab Cake because the dip is packed with crab! 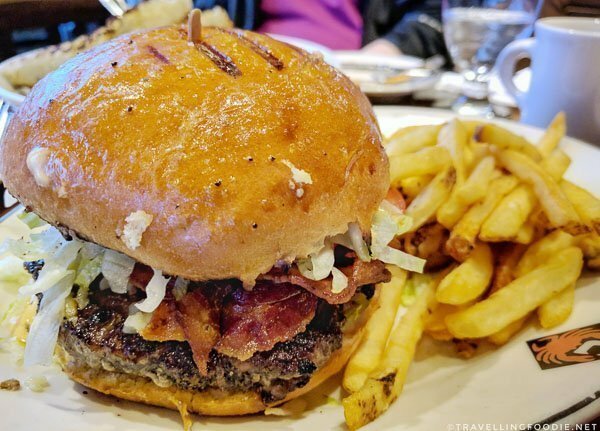 One thing that surprised me the most was their Painted Hills Burger because I didn’t expect a burger this good coming from a seafood restaurant. 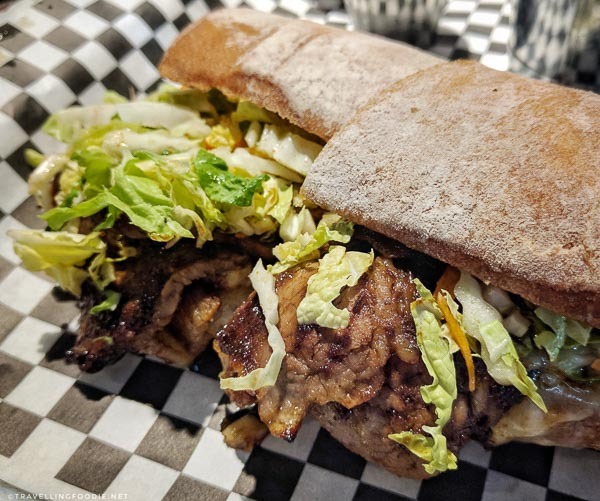 Started as a food truck, Big Boys Kainan restaurant brings a unique Filipino-Hawaiian fusion, focused on Filipino dishes with a twist of Hawaiian flavours. 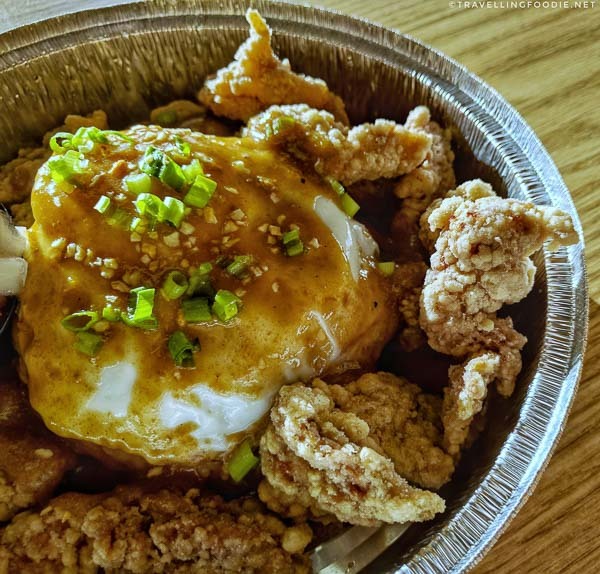 If there’s one thing you should try here, it’s the Fried Chicken Adobo Moco, which exemplifies the combination of Filipino and Hawaiian cuisine into one amazing ohana/pamilya (family) dish. Adobo is a popular dish in the Philippines typically using pork or chicken marinated in vinegar, soy sauce and garlic. And, Loco Moco is a traditional Hawaiian comfort food with white rice topped with a burger patty, fried egg and lots of gravy. Located in the Pike Place Market, Le Panier Bakery is a classic French boulangerie making fresh baked goods on-site daily. 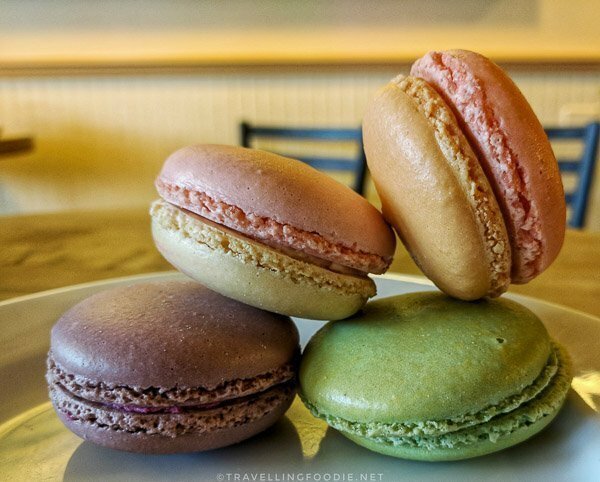 If there’s one thing you should try, it’s their macarons. They are one of the best I’ve had, and the flavours are quite interesting too including Rose, Passion Fruit and Cassis (the colorful ones in my photo below). For $2, their macarons are bigger than normal, giving you at least 2 bites of this chewy piece of heaven! I love the pistachio macaron the most with its strong pistachio taste. 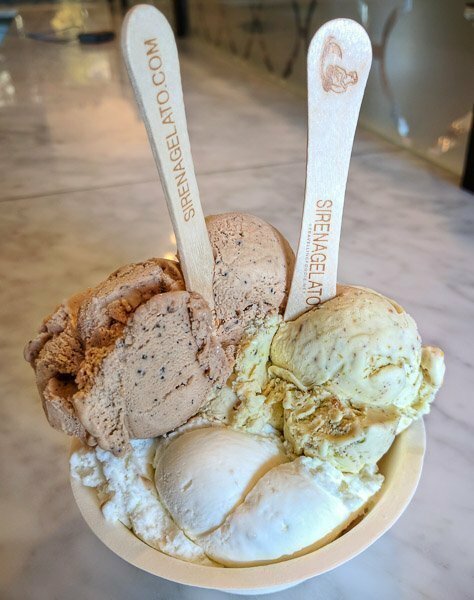 Sirena Gelato brings authentic Italian gelato recipes while using local Northwest ingredients and exotic imports like Thai coconut milk and Turkish hazelnuts. Did you know? Sirena means mermaid. Their gelatos are very creamy and have strong flavours, making them one of the better ones I’ve had in North America. Though I enjoyed the four flavours I tried, my favourites were the pistachio and hazelnut gelato because it’s very rare to have gelato having that strong nut flavour, and with real nuts in them too. A sister store of Mekong Village Restaurant, Meekong Bar is a Vietnamese and Asian Fusion restaurant specializing in Pho and Banh Mi Burgers. I didn’t get the chance to try their Pho and Banh Mi Burgers. What you really should try here though is their Seasonal Homemade Ice Cream. These are Asian inspired flavours so it’s hard to get them somewhere else. 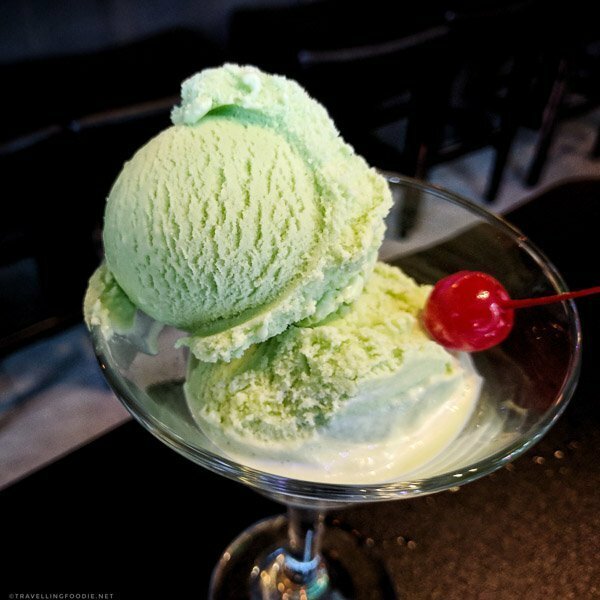 The pandan ice cream was amazing and had a strong pandan taste! According to Tastes Of Seattle, the taro ice cream is a must try as well! How many of these restaurants have you been? What are the best restaurants in Seattle for you? 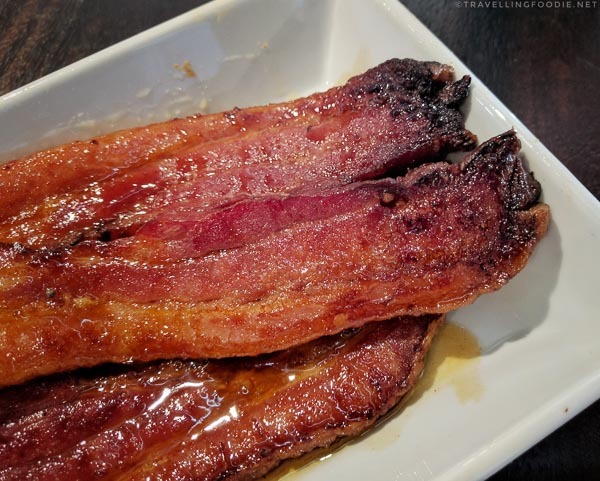 Posted on November 6, 2017 January 1, 2019 by Travelling FoodiePosted in Bellevue, Food, Kent, Kirkland, Seattle, USA, WashingtonTagged food trip, guides, restaurants. Thank you very much for this list. Some of my favorite places are also in this list which feels great. Their restaurant menus covers have so many great dishes to offer.